Today was our firstborn's first day of first grade. 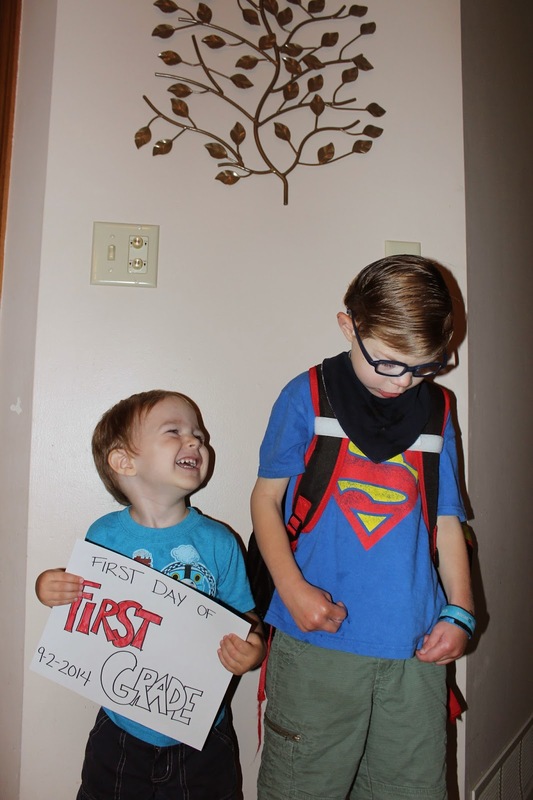 Little brother, Oliver, wanted to be in pictures too, so he got to help hold Elijah's sign. 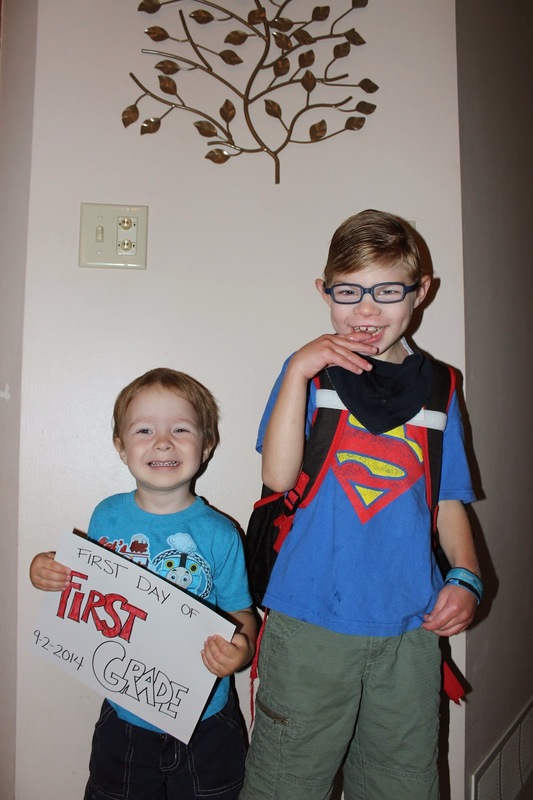 Oliver wanted to go to school with his big brother. "Oliver school, too," he kept telling me. I felt nervous today and on edge. It's hard to send your kid to school and trust those who take care of him (especially since he can't tell us what he thinks or feels or how his day went). 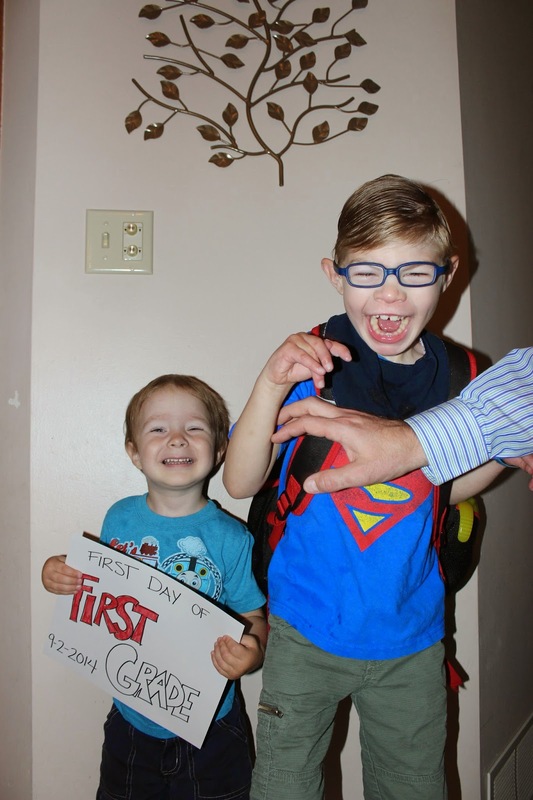 The first day of first grade was so much easier than the first day of kindergarten, however, and we're pleased that Elijah has the same paras as last year. He's known at his school and they care about him. That means so much. And, it helps that Elijah LOVES school. He waved goodbye to me before he got out of the van this morning and practically pulled his para into the building. When Elijah got home, he was all smiles and full of joy and affection. Elijah doesn't usually make all that much noise, but at supper he was babbling so much it was like he was telling us about his day. Oh, how I yearn to be able to understand what he's saying, to get inside that head of his. He's been more verbal lately and we have renewed hope for the development of speech. 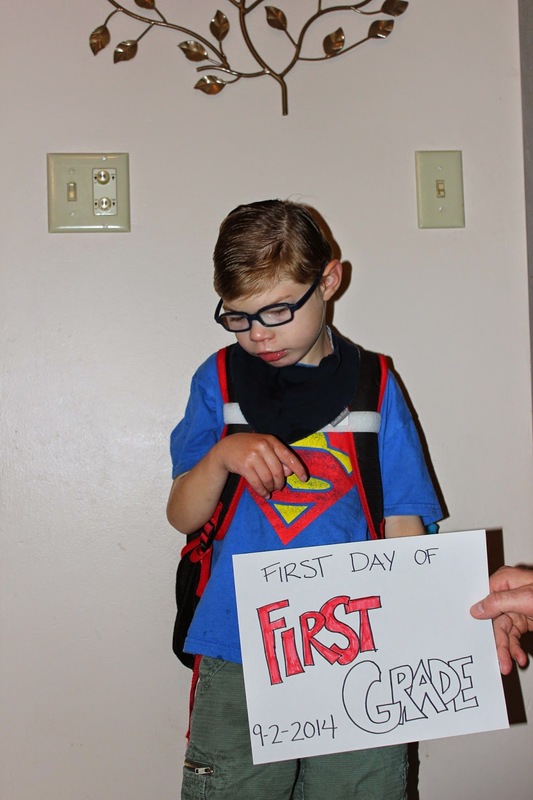 It doesn't take words, however, to know that he had a really amazing first day of school. Can't wait to see the changes this year will bring.